Q & A | How do I register and store cord blood? How do I register and store cord blood? Cord blood stem cells have become an important topic for pregnant couples in recent years. Many people are struggling to decide what to do with their newborn’s stem cells and are confused by the opportunities available to them. In order to make the best possible decision, it is important to be well informed about the capabilities of cord blood stem cells and how long they can be preserved. Q. How long can cord blood stem cells be stored? A. 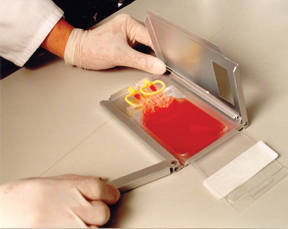 Current technology allows cord blood stem cells to be stored for up 20 years. Given the research underway, storage time is expected to increase indefinitely. Q. For whom can they be stored? A. The person most likely to benefit from your newborn’s stored umbilical cord blood is the baby him/herself. This is a source of perfectly matched stem cells for your child that can be used later on in life. Q. Who could potentially benefit from the stored stem cells? A. Although this is not the primary purpose of storing your child’s umbilical cord blood stem cells, it is possible that other family members could benefit from the use of these stem cells for cellular therapy and other regenerative medicine applications. Knowledge of the genomic information from this pristine source of DNA could be beneficial to the family for insight into DNA changes that have health impacts. Induced pluripotent stem cells (IPSC) developed from the cord blood stem cells promise a significant leap towards cellular patches, immune therapies and organoid development for the benefit of the owner child and other family members. These therapies are under development now with rapid progress being made in many parts of the World. Q. How can cord blood stem cells be used? A. Cord blood stem cells are currently used in the treatment of certain cancers, such as leukemia, serious blood diseases and immune and genetic disorders mostly in children. Umbilical cord blood provides a readily available source of stem cells for use in many transplant situations where bone marrow is considered. Q. What about the diseases we cannot treat now? A. Current research indicates that stem cells will someday change the way we treat diseases that are presently untreatable. With new knowledge of stem cell biology and how to direct cellular differentiation, we may be able to expand the uses of these cells further than previously thought.